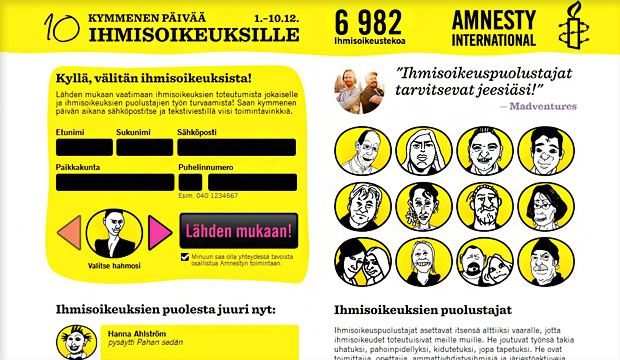 We implemented an impressive campaign site for Amnesty Finland. 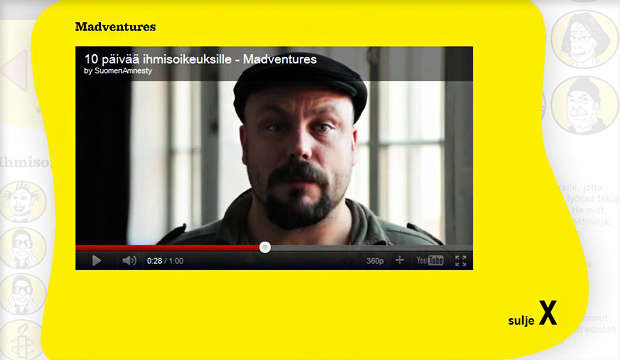 We implemented the whole campaign site localized in Finnish and Swedish languages. 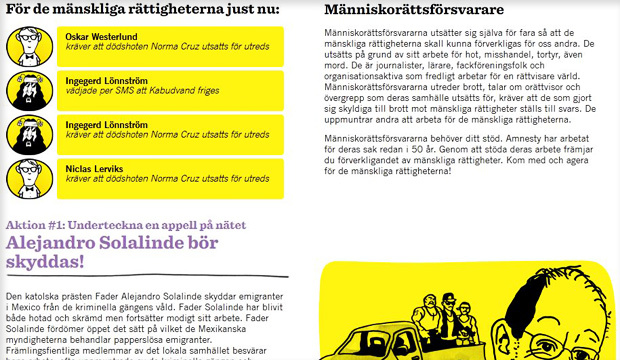 The campaign collected about 2700 active participants in ten days, which is a good result in given context. The site utilizes social media effectively. 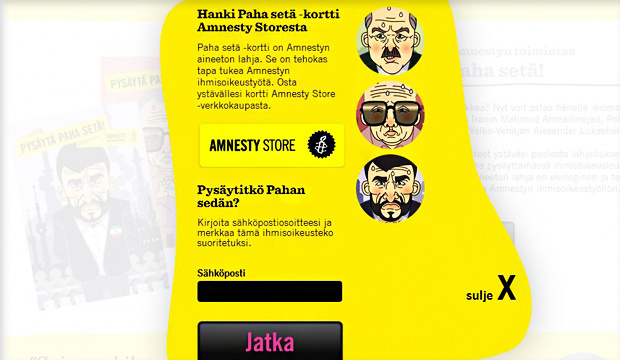 We also implemented custom application for users to sign in via Amnesty’s Facebook page.